With our efficiency and vast knowledge in this industry, we have come up with a commendable array of Socket Weld Pipe Fitting. 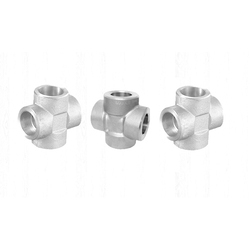 Well known for its striking features, this pipe fitting is generally used in domestic as well as commercial applications such as plumbing, heating, fluid distribution, air pressure lines, and many more. 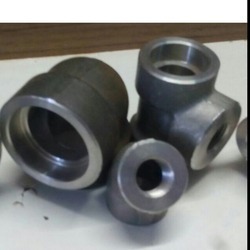 The socket weld fittings provided by us have been widely appreciated by our clients for high quality standards. Manufactured using advanced machines, these are durable in construction, highly resistant to abrasion and wear & tear. Available in various grades and specifications, these are also offered by us in customized options to ensure complete satisfaction to our clients. Form: Reducing Cross, Unequal Cross, Equal Cross, Forged Cross. Riding on unfathomable volumes of industrial expertise, we are providing a broad array of Socket Weld Fitting.